What Is Multiple-In Multiple-Out (MIMO) Technology? Multiple In, Multiple Out — pronounced "my-mo" and usually just abbreviated as MIMO — is a method for the coordinated use of several radio antennas in wireless network communications. 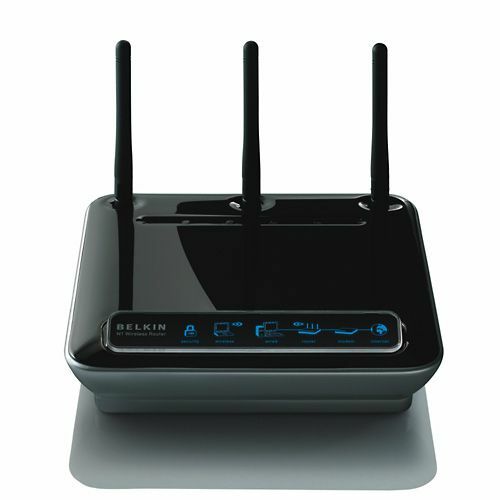 The standard is common in modern home broadband routers. MIMO-based Wi-Fi routers use the same network protocols that conventional (single antenna, non-MIMO) routers do. A MIMO router achieves higher performance by more aggressively transmitting and receiving data across a Wi-Fi link. It organizes the network traffic flowing between Wi-Fi clients and the router into individual streams, transmits the streams in parallel, and enables the receiving device to re-assemble (reconstitute) them into single messages. MIMO signaling technology can increase network bandwidth, range, and reliability at an increased risk of interfering with other wireless equipment. Wi-Fi incorporated MIMO technology as a standard beginning with 802.11n. Using MIMO enhances the performance and reach of Wi-Fi network connections compared to those with single-antenna routers. The specific number of antennas deployed in a MIMO Wi-Fi router vary. Typical MIMO routers contain three or four antennas instead of the single antenna that was standard in older wireless routers. Both a Wi-Fi client device and the Wi-Fi router must support MIMO for a connection between them to take advantage of this technology and realize the benefits. Manufacturer documentation for router models and client devices specify whether they are MIMO capable. Beyond that, there is no straightforward way to check whether your network connection is using it. The first generation of MIMO technology introduced with 802.11n supported Single User MIMO. Compared to basic MIMO where all of a router's antennas must be coordinated to communicate with one client device, SU-MIMO enables each antenna of a Wi-Fi router to be separately allocated to individual client devices.